The death of Princess Diana in 1997 catalyzed Dial's most ambitious series of artworks to date, executed in the tradition of religious art "cycles" that memorialize the lives of holy or noble figures. The cycle comprises four "stations": (1) the moment of death (Bad Picture); (2) the funeral procession and departure of the soul (Doll House and Last Trip Home); (3) the state of the world she lived in (Royal Flag and Master of the Red Meat); and (4) the moral, or the attempt to universalize the subject's meaning and effect (Stone Walls and Diana's Closet). Master of the Red Meat tills the same ground as Royal Flag, with somewhat more emphasis on the carnage, actual or metaphorical, of sacrificial victims. 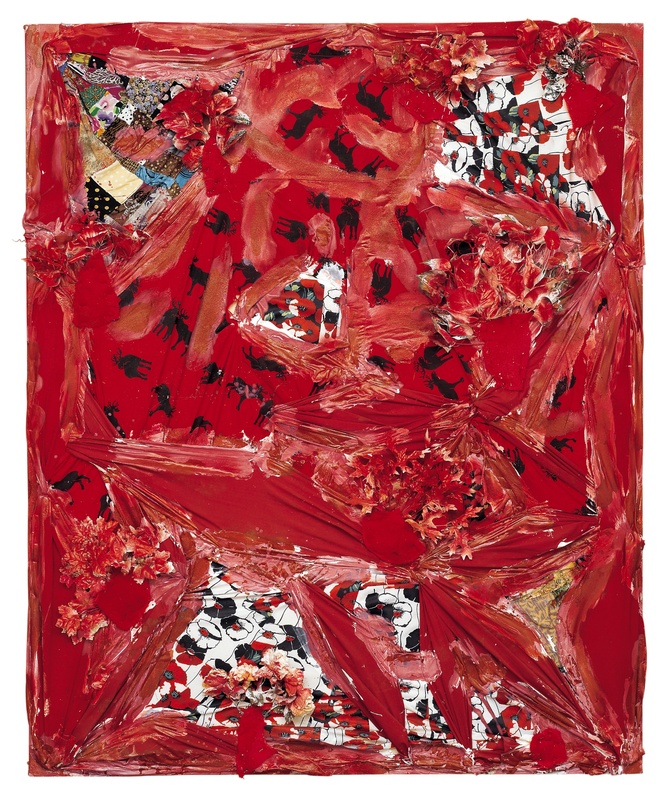 The presence of quilts in the painting suggests that this traditional outlet for African American creativity is a bandage—or perhaps the bloody quilts suggest the darker prospect that black creativity (artmaking) provokes violent reactions. Again, Dial's sense of becoming a target because of his artmaking is a lurking presence.